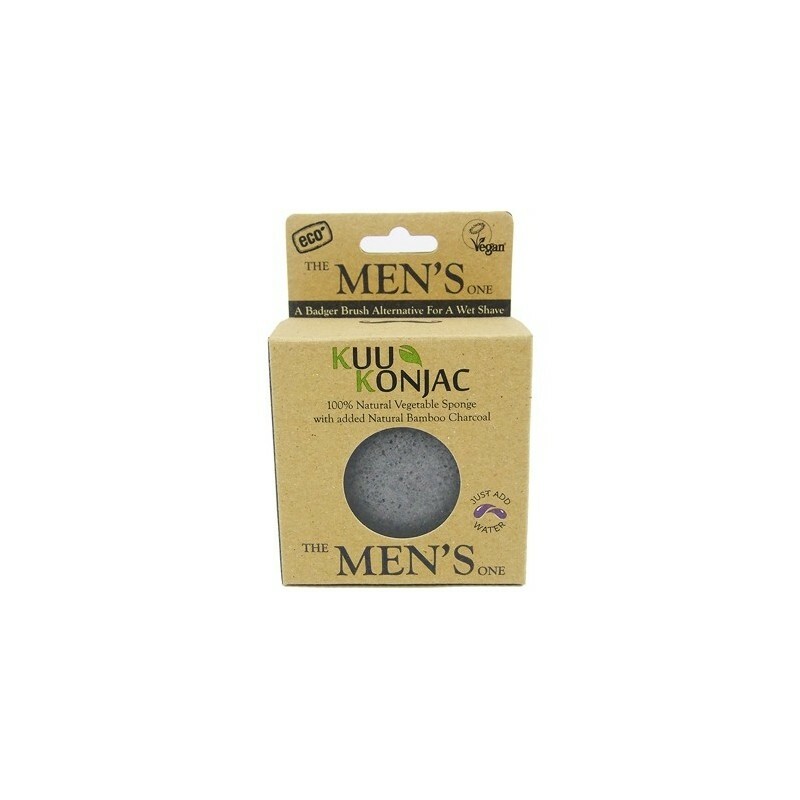 KUU Konjac gentlemen's sponge is a vegan alternative to the traditional badger shaving brush. Creates a perfect lather with a small amount of shaving soap. Infused with bamboo charcoal to deeply cleanse and help eliminate blackheads and excess oil around the hair follicles. You might also like our reusable, plastic free, safety razors. 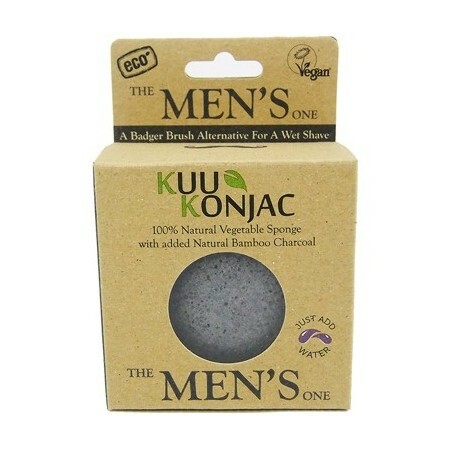 KUU Konjac gentlemen's sponge is a vegan alternative to the traditional badger shaving brush. Add a small amount of shaving soap to the sponge and create a perfect lather on the facial skin whilst deep cleansing at the same time. Lather with the sponge in warm water and rinse with the sponge after shaving with cold water to help seal the pores. 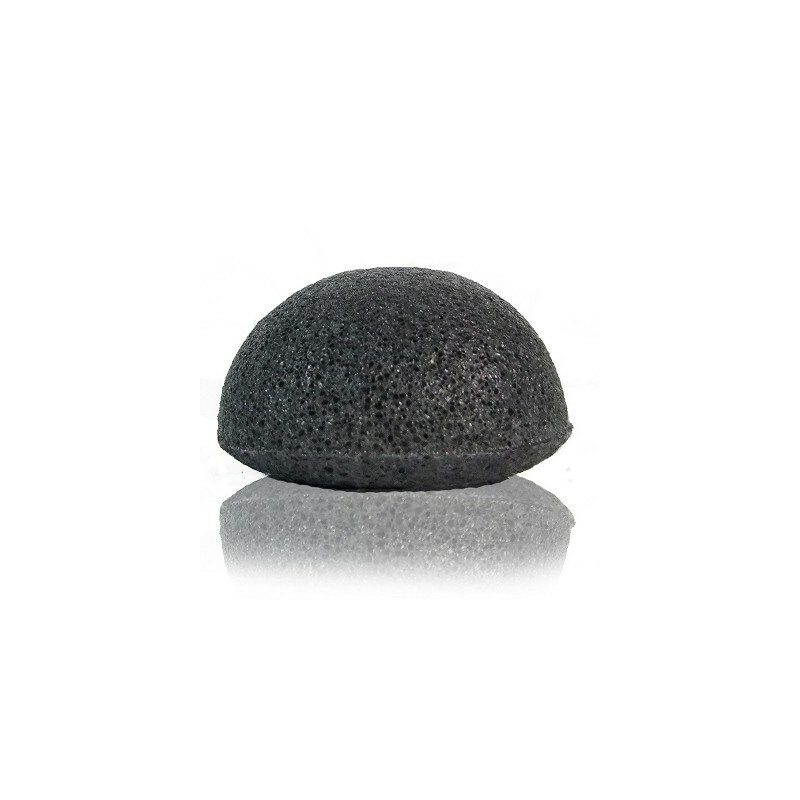 The bamboo charcoal sponge contains activated carbon & various minerals that enhance absorpsion of excess oil and dirt. Bamboo Charcoal is also a natural anti- oxidant and so will help fight hard-to-reach, acne causing bacteria, revitalising the complexion and tightening pores. This sponge deep cleanses and exfoliates the skin from the layers of dead cells and accelerates the regeneration process to leave the skin hydrated and looking radiant. I bought the "male one" because it was on sale. I use the konjac sponges religiously. The male sponge was just as good as the rest. I use them in the morning for a quick cleanse to wipe off sweat and bacteria formed overnight, without stripping away too many natural oils- so important! They're also great to use with a cleanser. Just rinse and allow to dry. These are the best!! 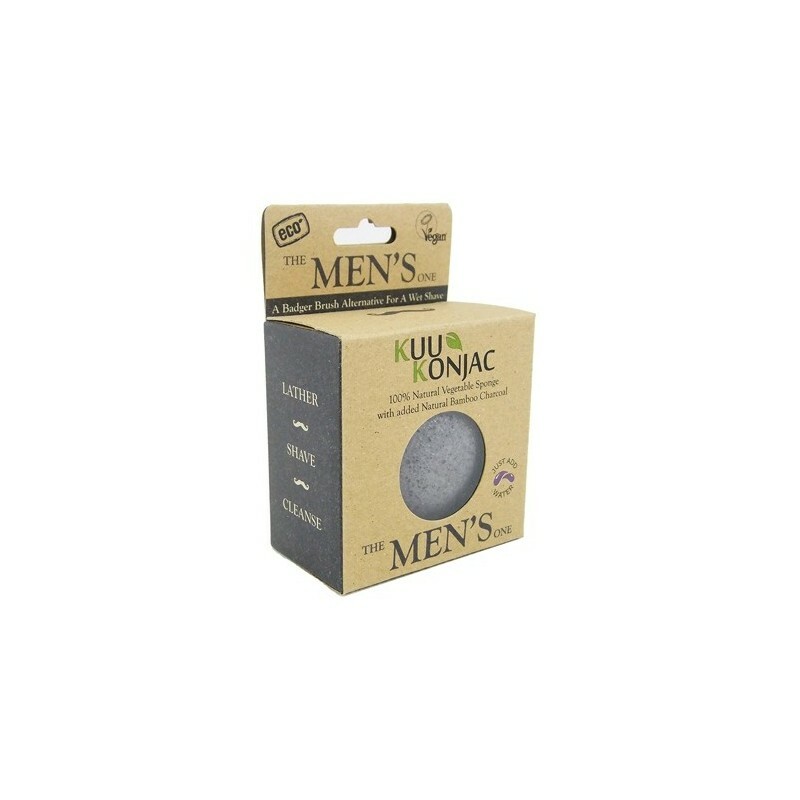 I must confess I bought a few of these Konjac Sponges for myself!! They are wonderful to use as a cleanser, you just wet them with warm water until they are soft, swiping over face in circular motion and rinse until clean. At night I use a tiny bit of a gel cleanser on the sponge to help get off my make-up and in the morning I just use the sponge with water only. They last ages - highly recommended! I brought the bamboo charcoal one as an alternative to face wash as I have sensitive skin and most cleaners give me a rash or itchiness. Its very gentle on the skin and leaves it feeling clean - I use it with warm water and my skin is clear, smooth and clean. I have purchased my second one now as they do disintegrate after some time.